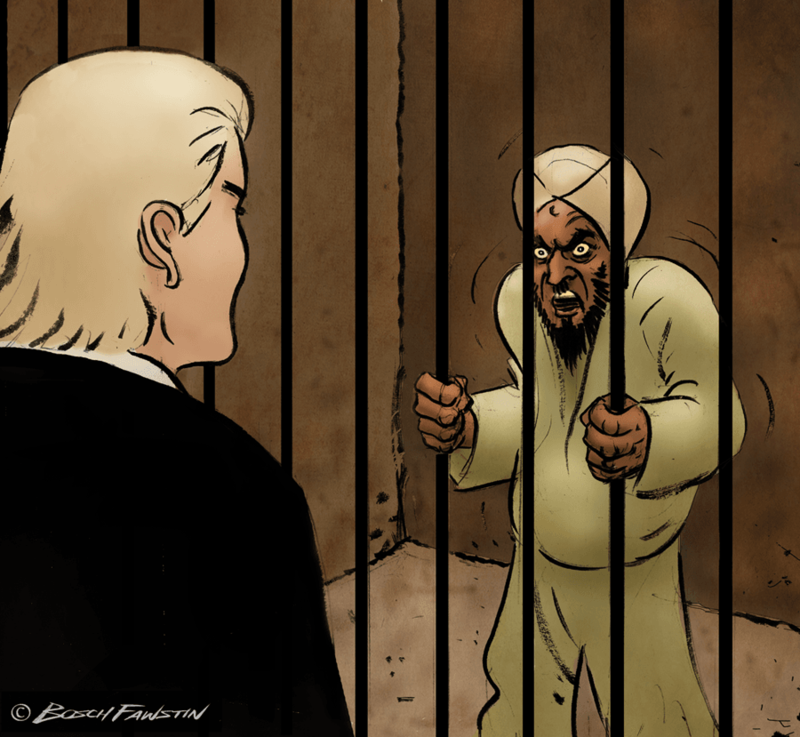 Bosch Fawstin, winner of the Mohammed Cartoon Contest in Garland, Texas, has made a new Mohammed cartoon showing Dutch politician Geert Wilders putting the Islamic prophet Mohammed behind bars. Mr Fawstin came first in last April’s contest, which was attacked by Islamic State sympathisers. 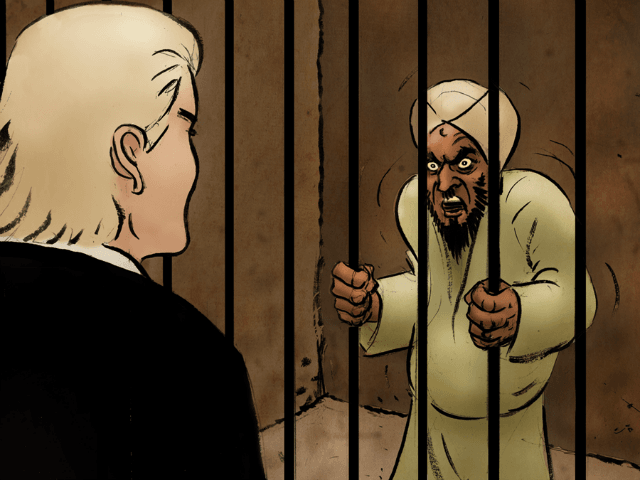 Speaking on the new cartoon, Geert Wilders said: “Bosch Fawstin was raised as a Muslim and personally experienced the atrocities of Islam up close. “He is one of the biggest heroes of our time because he had the courage to leave Islam. 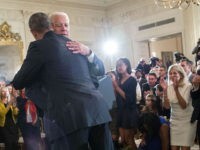 “I am proud that he made another Mohammed cartoon. It shows Mohammed behind bars and myself being satisfied about locking up the danger. “For me it symbolizes that we urgently have to act against the terrorist Islamic ideology and terrorist attacks by isolating the violent Islamic ideology and de-Islamizing our societies. “The West is facing an existential threat and weak leaders who are not protecting our people. We cannot afford this appeasement policy anymore and have to act today to preserve the freedom of our countries and security of our people. Many Muslims see graphic depictions Mohammed – and indeed of any living creature – as deeply offensive. In one of the most famous examples, Danish cartoonist Kurt Westergaard received death threats for a cartoon of a man with a bomb for a turban which was published in Jyllands-Posten in 2005. The cartoon sparked protests across the Muslim world, with Mr Westergaard having to live under armed guard. In 2010, a man wielding a knife and an axe broke into his home, forcing him to take refuge in a panic room. “My basic feeling has been and still is anger. 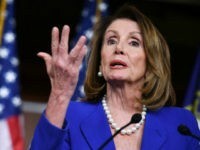 If you are threatened I think anger is a good feeling because it is like you mentally strike back,” he said.